Christopher Nolan is very good at giving messages through his films. That said “The Dark Knight Rises” is thematically very light, sure it touches on the diminishing middle class and the war against the “wealthy” but really it doesn’t pose the questions or answers that one has grown to demand from Nolan. That’s not to say that it was a bad movie. Far from it, it was a phenomenal movie that just didn’t quite live up to its predecessor. And that’s ok, it didn’t have to. The hype surrounding this film wouldn’t have allowed it to live up to the expectations anyway, so it’s good that it doesn’t try to. Set eight years after the events of the previous film, we find Bruce Wayne a broken and battered recluse at the outset of this film, but it’s not long before he is convinced to don the cape and cowl once again and take up arms against the forces of evil. Story wise there were some plot holes and editing mistakes that made me question a few things more than I have come to expect from a Nolan film, such as with the time winding down, yes there is a digital readout on a bomb, Batman (Christian Bale) flies all around the city avoiding missiles all-the-while less than three minutes ticks off the display. Many of the twists at the end were predictable, not just to a fan of the comics’ arcs this movie borrows from, but to anyone that is perceptive. Rather than subtlety hint at things to come it all but tells you in some scenes what will happen in the final ten minutes. That said I still very much enjoyed the movie, the pacing was right on and the story flowed smoothly between action set pieces. All of the acting performances were on par with what you would expect from such a talent laden cast, and the action scenes were magnificent to see on the big screen. While 2008’s “The Dark Knight” added in humor from Heath Ledger’s OSCAR winning take on The Joker, this movie just packs on violence and more violence as Bane ratchets up the stakes. Bane is just one of a plethora of villains that while fun to see pop up on screen leave some wanted development in others. 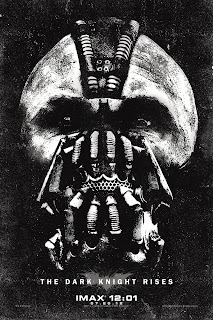 Talia and Ra’s Al Ghul, Two-Face, The Scarecrow, Catwoman and Bane are among the villainous characters that all have to split screen time throughout the movie. It might have done well to cut back on the quantity a bit and focus slightly more on the development of some characters. Overall I give the film an A- because despite its flaws it overcomes with solid character and story elements that are just numerous to bring down the rating any further. It’s been a tough week in the newsroom. We’ve seen a lot tragedy, both locally and nationally, that we’ve shared with readers. It all started Tuesday when several of us, including Staff Writer David Komer and I, were working late and a call came in about a crash in Taylor involving a motorcycle and a car. The tipster said it looked bad, and Komer ran out of here as quick as he could. The driver of the motorcycle, a 29-year-old Taylor man, died and two others were listed in critical condition days later. Komer went from the scene of the crash to City Hall to cover a City Council meeting and wrote a short Web story on the crash while he was there, but that was the easy part of the coverage. The hard part came Wednesday morning when we realized that surveillance footage of the crash existed, and that Norm’s Market was willing to share it with us. 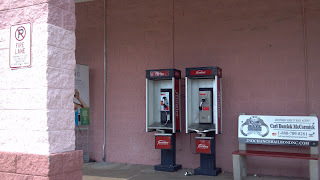 Of course, it was our duty to go and get the video, but then the decision on whether we should use it had to be made. As the video coordinator for our site, much of that decision came to me. I thought about it for a couple of hours and watched it several times before ultimately deciding on its journalistic value and that it should be shared with our audience. Not all of the audience agreed, and some commented on how it was insensitive or that such graphic things should not be shown. Those decisions did play into how we used the video. For starters, we did not edit it into our other video coverage of the event so as not to make anyone see it who chose not to. It was posted in a separate video player, with a title that detailed exactly what it was, and then also posted in a separate story file with a headline that also mentioned it was video of a fatality. The thought process was that with the two layers of decision-making, no one who didn’t want to see it would. Another major factor that played into the decision to run the video was that other news sources also had it and had used it. I decided that since it was already out in the world that if our audience also wanted to see it, we should not impede them. For those who questioned the decision to use the video, I hope you understand that it wasn’t done for shock value, but in an effort to cover the crash to the fullest of our ability. Moving on to the next tragedy, a tip came in that two dismembered bodies found in the Detroit River were those of two people from Downriver and that there was a crime scene in Allen Park that was related. That was at about noon Thursday. Try as we might, we were unable to confirm that until about 9 p.m. But that is another tragedy that we will continue to cover through the end of the investigation. That brings us to this morning, a day I’ve been waiting years for. 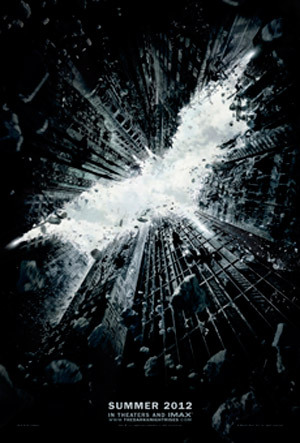 “The Dark Knight Rises” was released at midnight and I have tickets for after work to see it. On Friday morning, I awoke to see that a massacre that killed at least 12 people and injured or wounded more than 30 had taken place in Aurora, Colo., at a premiere of the Batman film. Being that it is a national story, it’s not the type of thing that we would normally cover because we stay as local as we can. But, the movie those people were viewing at the time of the shootings has generated interest Downriver, as well as nationally, as the most-anticipated release of the summer. And, we do have a sister paper in Colorado, The Denver Post, and decided that we should bring you some of the coverage of this tragic story, as well. It might be a typical week in some newsrooms, but for us that’s a lot of crime and human tragedy. This week, I think I’m going to find some children with a lemonade stand and cover that. As always, if you see something of interest in the community, let us know about it. If it’s interesting to you, it probably is to others, and we’ll do our best to cover it. This column was originally posted on TheNewsHerald.com. Found this while trolling around Youtube today, enjoy. Saw this while driving down the highway in North Carolina. Very odd. If she's at the local version of one of these restaurant's I'm in, otherwise seems like a waste of time... I do have a Spider-Man shirt that is soon for my rotation though, I could toss it on just in case I'm near one of these places tomorrow. Here's the original Facebook post about the promotion. 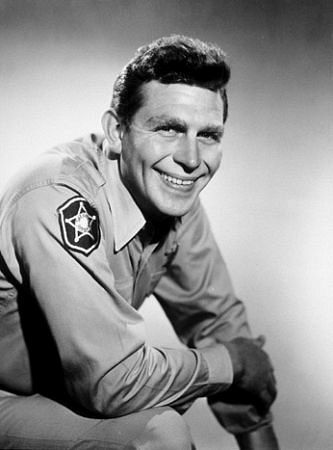 The news of Andy Griffith's passing this morning saddens me. 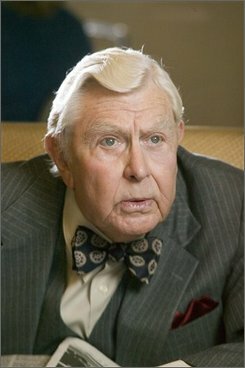 I grew up watching Andy on TV, both on “The Andy Griffith” show and on “Matlock.” Both shows kind of hold a special meaning to me. When I was young my father never really had a lot of time for me, but every couple of months there would be a marathon where his favorite show was on, and I could spend several hours sitting there with him watching TV and generally just being with him. My relationship with him has grown and changed over the years, especially in the past year as I've been able to spend more time with him and get to know him better, but my earliest memories are of watching “The Andy Griffith” show marathons with him on the couch. Flash forward a couple of years, my parents divorced, I was living with my grandma and grandpa while mom got back on her feet. They often would put “Matlock” on TV in the afternoons and I got to watch TV with my “papa,” despite not having much of a relationship with him either. As an adult I realize why my relationship with him was strained a bit, but as a seven-year old kid I didn't. But we again managed to bond over Andy Griffith, much like I had with my father. So when I saw this morning of Griffith's passing, I was sad, much more so than one normally would be over an actor, whom I have never met. That being because while Griffith may have just been doing his job, he was so much more than just a face on TV to me, he allowed me to build lasting memories with both my father and grandfather. Griffith will best be remembered for being an actor, but for those that don't know or remember, he was a fantastic comedian as well. I highly recommend checking out some of his bits that are available for download through Itunes or some other downloading mechanism. You won't be sorry. Thanks for the memories Mr. Griffith, you will be missed. I'm sick of origin stories. They are pointless. Comic book fans know them left, right and center, and movie fans could easily pick up what is needed from context or from a couple of quick flashback scenes, that is how comic book films should be made from here on out. I want fresh stories, not the same old tired crap slightly modified and called new. That's nothing more than putting lipstick on a pig. That said, “The Amazing Spider-Man” was nothing short of just that, amazing. 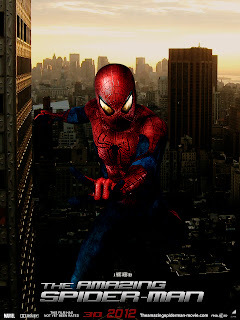 It's a reboot to the Sam Raimi led Spidey trilogy that started with a bang and ended by alienating me to the point that I can't pop in any of the films in the series anymore to watch with enjoyment. I'll go as far as to say that had this movie been released pre-Avengers it would have held the title of best comic book movie of the summer, this has really jumped into rarefied air. Especially when after the first trailer for this flick was released I wasn't even sure that I would bother seeing it. It hadn't been long enough for a reboot in my eyes, plus the disaster of “Spider-Man 3” was still fresh in my memory. The trailer, which was nothing more than some first person web swinging looked more like a video game than a movie, and it turned me off. Somewhere along the way I saw the rest of the trailers, and the memory of the third flick of the last series melted from the forefront of my mind and this film became one of my more anticipated films of the year, behind two other comic films though, the aforementioned “Avengers” and the third Christopher Nolan led Bat-film “The Dark Knight Rises.” Well now Nolan has a lot to live up to if he wants to match Joss Whedon's May marvel or Marc Webb's aptly named Spider-Man. Andrew Garfield won me over as Spider-Man, managing to ditch his British accent and play an American teenager with ease. Emma Stone as Gwen Stacey was great casting, though I felt a little dirty pining for her as she played a teenager, Rhys Ifans was great as Dr. Curt Connors, even if I didn't care so much for his Lizard portrayal. The look and feel of the Lizard is another sore point with me. He doesn't look like a lizard, but rather some type of dinosaur, and his ability to regenerate limbs while the Lizard is way too fast. So basically there wasn't much there for me to enjoy out of the “big bad” but that withstanding the character driven story didn't need for there to be. What was great about this film though, it's not bogged down with origin. It happens in the course of the film, and yes there is a few minutes where Peter figures things out, but it's not half the film, it worked well. Spidey also gets to do some of what I love the most about the character and that's interact and shoot quips at some random street punks and the like, he's not just fighting the super-villains the whole time. The update on how Uncle Ben (Martin Sheen) is killed is great for a modern audience, and let's Peter still think that he is responsible. Sally Field as Aunt May was one of the characters I was worried the most about, as I didn't think she could play the old woman, well I didn't realize how old she's gotten. That plus some make-up and she is very believable as the eldest Parker. My biggest complaint about the movie is the Peter-Gwen relationship, they go from not knowing each other to him being invited over for dinner without ever having a date. Her parents are thinking of him as a boyfriend already, and they end up making out by the end of the night. The relationship should have been explored a lot more. I love the update switching her from a rich girl to one of his high school contemporaries, though I also miss Harry Osborn from the high school scenes. Peter also showed just a bit too much backbone to Flash Thompson and wasn't all that worried about a secret identity it seemed, at least at times. Really that's just picking nits though. The film knows where it is going, and gets there with ease. It's believable, it's enjoyable and most of all it's fun. OVERALL RATING: B+ It has heart, but there is still some room for improvement. 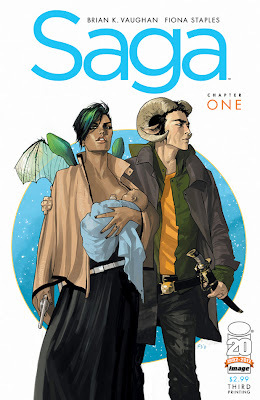 This was the final of the 2012 Motor City Comic Con books that we were asked to review for the independent artists. While it wasn't my cup of tea, I still think that the book and the people behind it have a lot of potential. Yeah, I know, the movie doesn't even officially come out for 2.5 hours, and I'm on vacation so I shouldn't be blogging. But I just had to share some of my findings. I was out and about at a local grocery store here in Durham, North Carolina, and I saw Amazing Spider-Man foodstuffs that I just had to pick up and share with everyone. Maybe this stuff was available in Toledo or somewhere Downriver but it was the first time I have seen the "Kellog's Spidey Berry" cereal, complete with Lizard villain marshmallows. Though I found it yesterday, I had to wait until today to share it with you all, so I could try it. It was spectacularly average. Nothing stood out about it. 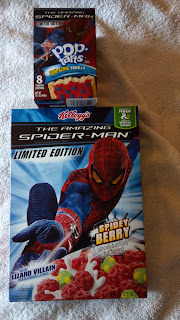 Maybe it's my maturing (yeah right) taste buds but I'm not a fan of marshmallow cereals, and there were no Spidey shaped pieces, it was all shaped like webbing bits. Overall just an average cereal, but I'll be saving the box. Next to the cereal though, there was YUM-AZING Vanilla flavored Pop Tarts with red frosting and little blue spider-shaped sprinkles. I already know I like vanilla Pop Tarts, so I nabbed two boxes of those. 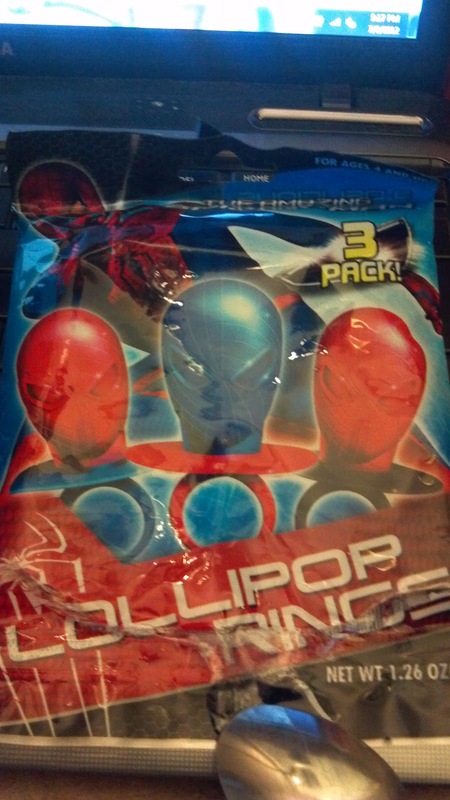 Lastly they had Spider-Man shaped ring pops. So I had to grab a bag, which had three. They are small suckers, but each is shaped like Spidey's head. I got two red (cherry) and one blue (blueberry) flavored suckers. Next up is the film, which officially opens tomorrow, but that is in just over 2.5 hours. 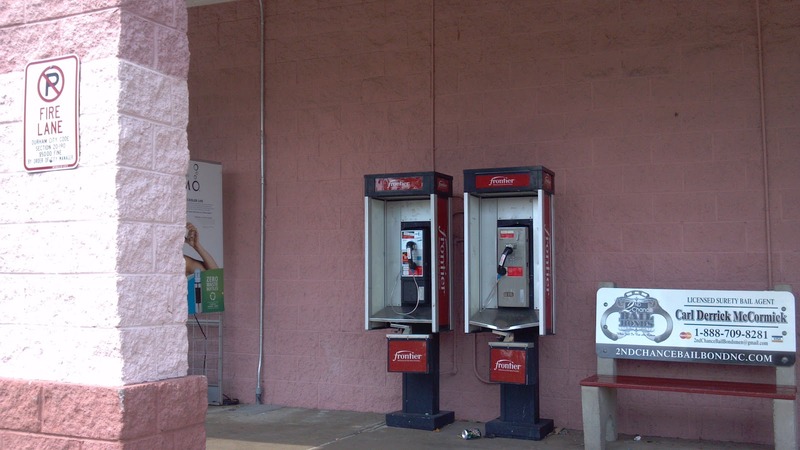 Bonus photo, check out these blasts from the past that I found outside of the store after buying my goodies.